The armistice for the cessation of the First Balkan War was signed on December 3, 1912, and the London Peace Conference, composed of delegates from the Balkan allies, including Greece, who had not signed the armistice, and Turkey, held its first meeting on December 16, 1912. At the same time a Conference of Ambassadors, consisting of Sir Edward Grey and the London representatives of all the powers, was also in session. The Balkan allies demanded a war indemnity, as also the cession of all European Turkey (excepting Albania), Crete, and the islands in the Aegean Sea. Turkey was to be allowed to retain Constantinople, together with a strip of territory extending from Midia on the Black Sea to Rodosta on the Sea of Marmora, as also the peninsula of Gallipoli or the Thracian Chersonese. Turkey was unwilling to give up Adrianople, a sacrifice insisted upon by Bulgaria. The "Divan," or Turkish National Assembly, decided, however, on January 22, 1913, that the demands of the allies must be conceded. Kiamil Pasha telegraphed the Turkish commissioners at London that same night, directing them to yield Adrianople and agree to the cession of all Turkey in Europe beyond a line running from Enos on the Aegean Sea, at the mouth of the Maritza River, to Midia on the Black Sea. But on the following day, January 23, as a result of a successful coup d'état, Kiamil Pasha was driven from power and Nazim Pasha murdered by Enver Bey, who placed himself at the head of a new government. When the news of the coup d'état reached London it was recognized that further negotiations were useless and that the London Peace Conference had failed. Adrianople having been captured by the Bulgarians, assisted by the Serbs, on March 28, 1913, the time was ripe for a resumption of peace negotiations. (1) A frontier line from Enos to Midia to follow the course of the Maritza, and the cession to the allies of all the territories west of that line, with the exception of Albania, whose status and frontiers were to be determined by the powers. (2) The question of the Aegean Islands to be decided by the powers. (3) Turkey to abandon all claims to Crete. (4) The powers would not entertain favourably the demand for an indemnity, but were willing to admit the allies to participation in the discussion of an international commission which should meet in Paris for the equitable settlement of their participation in the Ottoman debt and the financial obligations of the territories newly acquired. Turkey was to be asked to take part in the labours of this commission. It was not until April 20 that the Balkan States finally agreed to accept the mediation of the powers. When the Balkan delegates and the representatives of the great powers finally met for the second time at London on May 20 they found a treaty embodying the original terms of the powers all ready for them to sign. 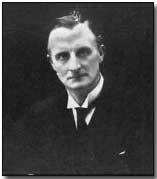 They demurred at first, but when, on May 27, Sir Edward Grey, frankly told them that they must either sign or leave London they signed without much further delay on May 30, 1913. The long delay in the negotiations was largely due to differences among the allies regarding the division of the spoils. Mutual hatred and suspicion and conflicting territorial ambitions made agreement almost impossible. The action of the Conference of Ambassadors in regard to Albania added greatly in the difficulty of the situation, since Serbia was thereby prevented from extending its territory westward to the Adriatic and would be left with only a relatively small recompense for its sacrifices in the war, unless Bulgaria could be induced to consent to a modification of the Serbo-Bulgar treaty of March 13, 1912, a thing to which she was unwilling to agree. Even before the declaration of war Serbia had suggested a rectification of her frontier as outlined in the Serbo-Bulgar treaty of March, 1912. Her demands grew with her victories, with the free hand in Macedonia allowed her and Greece by Bulgaria's preoccupation in Thrace, and with her exclusion from the sea by the creation of Albania. Bulgaria, on the other hand, cared intensely for expansion in Macedonia. Very bitter feeling was generated between Bulgaria and Serbia, culminating in warlike preparations, some actual hostilities, and a final demand on May 25 on the part of Serbia for revision of the treaty of 1912. Meanwhile Serbia had been approaching Greece suggesting conterminous bounds in Macedonia and alliance against Bulgaria, and a final agreement with her was reached on May 19-June 1. A second question was raised by Roumania, who hoped to gain Silistria and a more advantageous military frontier for her Dobruja region. Bulgaria refused her suggestions as to compensation for neutrality (made at the London conference), and war almost resulted, but was averted by a Petrograd conference which gave Roumania Silistria without fortifications (May 7). On April 19 Serbia offered her a treaty against Bulgaria, and on May 2 the Greeks made a similar offer. She desired, however, to remain free until war was actually begun, fearing the effect of an alliance of all against Bulgaria. The terms were practically those proposed by the powers on March 23. (1) Turkey ceded to the Balkan allies her territory in Europe beyond a line drawn from Enos near the mouth of the Maritza River on the Aegean Sea to Midia on the Black Sea. (2) The status and boundaries of Albania were to be fixed by the great powers. (3) The Sultan of Turkey ceded Crete to the Balkan allies in whose favour all rights of sovereignty were renounced. (4) To the great powers was left the decision upon the fate of the islands in the Aegean Sea (excepting Crete) and the status of Mount Athos.